This delicious concoction is super easy, makes great leftovers & can be eaten warm or cold. You can use any veggies you like to make this as low carb or carb-ful as you wish. Packed full full of veggie goodness, lean protein and a whole lotta love. Enjoy. Shake it all together in a jar. Roast all the veggies first and set aside. Rub your lamb with the mint, rosemary, salt, pepper & coconut oil. Heat your frypan and cook the lamb to your liking. Allow it to rest for 5 mins before slicing. 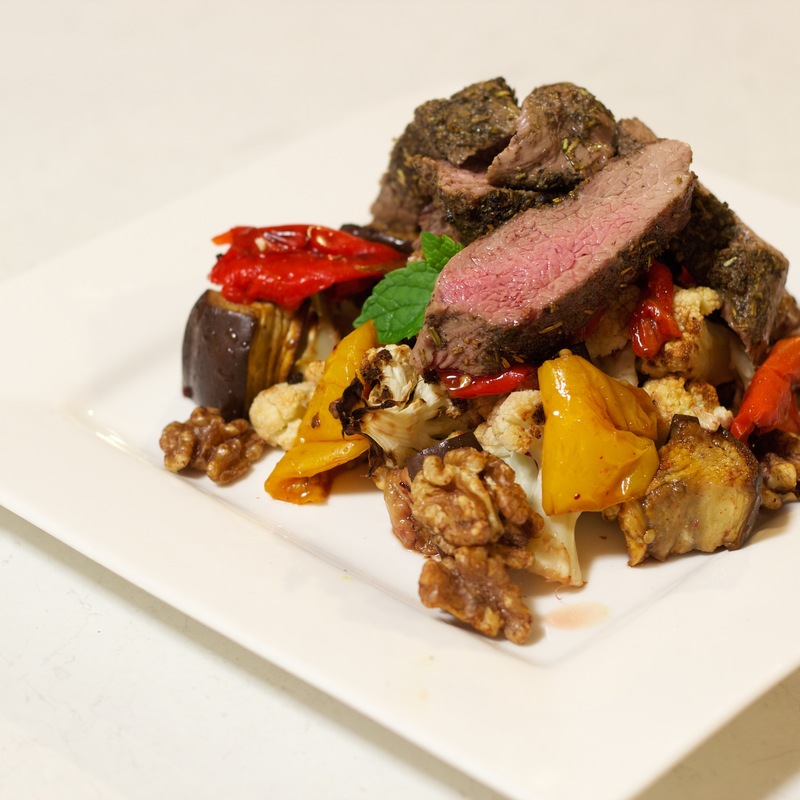 In a big salad bowl combine the roasted veggies & lamb, pour over dressing and toss gently. Top with walnuts. Add a bit of fresh chopped mint if you like. Dig in.